How to buy wool like a pro, with the help of an actual wool expert. Modern Farmer: How do you tell a quality wool product from something that’s lower on the scale? Clara Parkes: If you’re concerned about truly high-end, stick with merino [Named for the Merino sheep from which it is harvested]. Because that’s the finest grade of wool that’s on the commercial market and the finest in terms of softness. The thing is, the finer a sweater is, the faster it’s going to wear out on you. Give merino a chance. Our tendency is to look for super soft, soft, soft. So our hands will immediately go to the cashmere sweaters. You can actually get something that will last four times as long and is more likely better made in a lot of ways and costs half the price if you just put away the cashmere and look for the wool merino. You can actually get something that will last four times as long and is more likely better made in a lot of ways and costs half the price if you just put away the cashmere and look for the wool merino. Another thing is think about is: What your hopes are for the sweater? Because a fabric’s warmth, especially wool, depends on how thick it is. Think about what is your goal with this sweater: ‘I don’t want five layers, I just want one.’ You would want to look for something that is as thick as possible because it’s going to hold more air and keep you warm. Merino sweaters tend to be very thin but the benefit is you can layer very close to your skin and you don’t have to worry about any itching. If you’re touching a wool sweater, there’s a difference between itchiness and crunchiness. The crunchiness is really nice; think of a hearty whole grain bread. You just have to adjust your expectation of how you’re going to wear it. Wear a shirt underneath. Suddenly how it feels against your skin doesn’t even come into play. You’re going to benefit from a thicker fabric, you’re going to be warmer and it probably won’t cost as much. MF: Where are places in the world that are known for wool production? CP: Australia is the number one merino producer. Australian merino tends to be among the best. British wool is just marvelous. We tend to see more British wool in terms of woven goods like tweed, anything like that. It tends by geography and genetics to be a little bit rougher, but extraordinarily well-wearing and great for cold temperatures. MF: Do you have any favorite wool buys? CP: My guilty secret shop would be Uniqlo. They make a really great, very inexpensive wool pullover, turtleneck and cardigan. They last forever. They’re very thin. I travel with them. They wear well, they don’t pill, they keep you warm. On the other end of the spectrum is someplace like Ibex in terms of beautiful garment design from a company that takes care in sourcing their fibers from good people. MF: Do you always want a 100 percent wool garment, or are blends good, too? My guilty secret shop would be Uniqlo. They make a really great, very inexpensive wool pullover, turtleneck and cardigan. They last forever. They’re very thin. I travel with them. They wear well, they don’t pill, they keep you warm. CP: The only time a blend becomes useful is if it has to do with the function of a fabric. Like 10 percent nylon can be a good thing, but above 20 it begins to impact the way it feels against your skin. Some people say the very best blend is 50/50 cotton and wool because each has qualities that compliment the others shortcomings. I would be wary of what I call ‘why bother blends.’ It’s like 10 percent this, 10 percent that, kitchen sink. Let’s toss some angora in there; let’s toss some silk in there, some bamboo. It becomes more of a mad scientist than really giving you a fitting second skin against your body. MF: What’s the deal with fineness? CP: Fineness is softness. The lower the diameter, the less likely it is to push against the skin in a way that you feel as a prickle. It’s all measured in microns, which is one millionth of a meter. It’s really, really fine! CP: Gauges are the actual diameter of the yarn itself. The bigger the fiber diameter, the bigger each stitch will be and the fewer amount of stitches you’ll need to fill a certain space. So if you have a really thick yarn and you make a sweater you’ll have big stitches that are really huge. And the finer the yarn gets the more stitches per row, however the greater ability for nuance if there’s a pattern you’re trying to draw. The difference between drawing with a Magic Marker as opposed to a Rollerball. CP: A Wool Classer is somebody who sorts the wool into general categories of fineness and then they also do brightness. The commercial wool world values white wool because you can use it for the most things. You can dye it the most colors. And then you have Shetland or Icelandic and other primitive breeds who have more color in them. 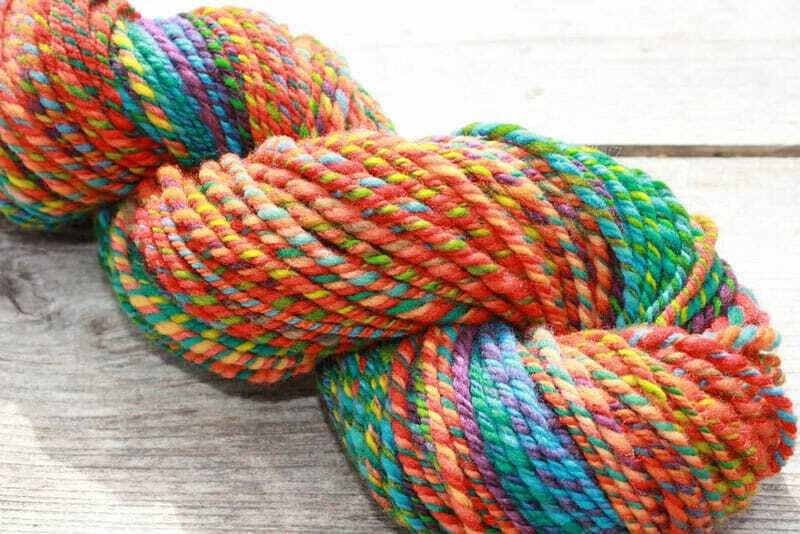 And the commercial textile world is like ‘We don’t want that,’ however for niche markets and hand knitters it’s glorious because you can do all these fabulous things without having to dye the fiber. Which is nice, because dyeing can harden the fiber. So you could have a skein of natural and a skein of dyed of the exact same yarn and it would feel slightly different. MF: So there’s a person who goes around and assigns class to wool? CP: It’s very cool. Wool Classers are more common in the U.K. They apprentice for years and years and years to be able to tell just by touch the likely fineness. Farmers will have some people come in and shear their sheep and they bag it all up. Then they send it off to a central warehouse, or sometimes it goes straight to the mill, where someone opens up the bundles and gives them a class just then and there. It evolved before we had any kind of microscope where you can measure the fiber diameter and know for sure what it is. 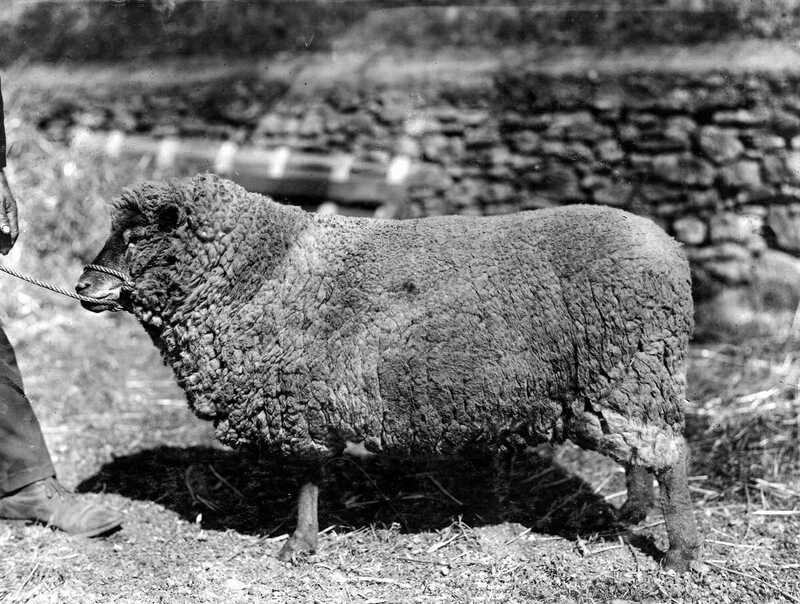 Now what happens is that it costs a lot of money to send somebody to the shearing places but [if a wool producer can afford it] they set up a microscope and can look at a sample to get a sense because a big bundle of wool is only as valuable as the roughest fiber in it, so it’s in their best interest to be as thorough as possible because then they’ll get more money if they can keep the finer stuff separate. MF: Are there unusual uses of wool that the average person doesn’t know about? CP: Absolutely! Every major league baseball contains wool grown at a small mill in Massachusetts. It’s for the density, the weight and it’s response to impact. 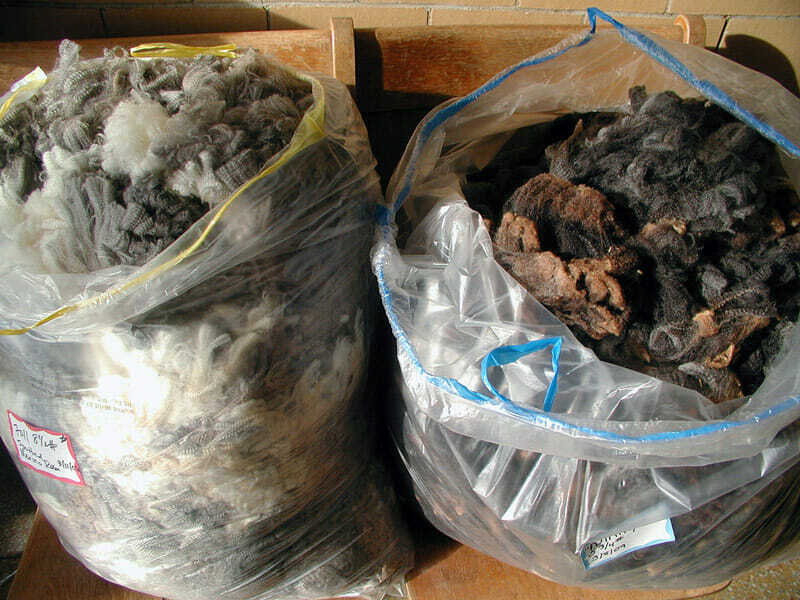 Insulation – wool is an extraordinary insulator. I’ve heard of wool coffins. There’s a company in England that’s doing that. They’re completely biodegradable. Also, wool handles flame different than synthetics which tend to melt and become a chemical that burns and releases toxic fumes. And cotton, because it’s plant-based, it can char and keep burning, but wool and most protein fibers naturally extinguish flames. So a lot of the fabrics that you’ll see in public places, and firemans’ blankets, or cubicles, they tend to have some amount of wool in them because it’s naturally fire extinguishing.